I live in Heeten, the Netherlands. I lecture general- and analytical chemistry and laboratory safety at the Saxion Polytechnic Institute in Deventer, and I am a firebuff !! I started fire buffing when I was 18 years old, but I followed fire trucks on the way to a fire on my bike when I was only 12 years old. When I got a Canon A1 SLR camera on my 18th birthday I started going to the firehouses to make photographs of the fire trucks. At the moment I still use this Canon A1 camera with a 50 mm lens for photographing fire trucks. 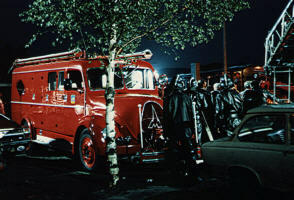 I have quite a collection of Dutch fire trucks photos. On vacations a stop at the firehouses we pass is mandatory. I take any opportunity to talk to the firemen and take photographs of their fire apparatus, so I have photos of US, Canadian trucks too. More photo's on my photo album pages. I also started collecting fire apparatus sales literature like brochures, folders, design drawings, operators manuals, sales manuals etc. 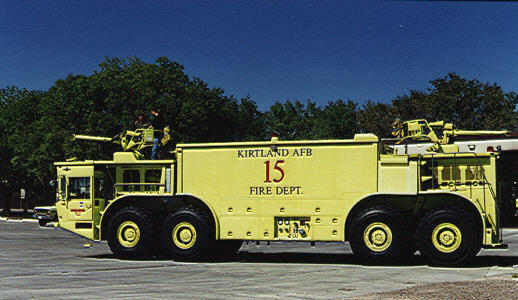 I have aproxemately 350 files of diffrent fire apparatus manufacturers at the moment. 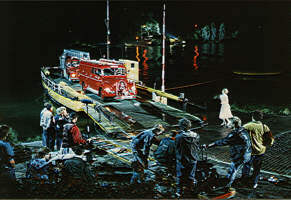 In 1989 I participated with my fire truck in the Dutch movie "Elcker" featuring Coen Flink. A movie about a conflict between the Major of a small city and the fire chief. Waiting in front of my firetruck for "Roll camera's, ACTION!!" VBB, THE Dutch fire buff club !